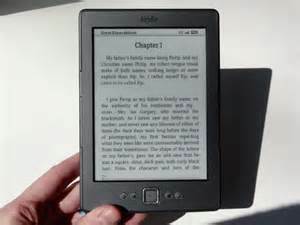 I love, love, love my Kindle and carry it everywhere with me. Even with all the controversy, I’m a huge Amazon fan. Without them, my own titles would have never been for sale. I support my local library by borrowing books on line and managing my Kindle though my author account. It’s pure fun to sit on the library’s website and search for my next read, order it and see it magically appear on my devise–all for free. If I lose interest in the title I simply return it electronically.I can now afford to take more chances with books, I wouldn’t normally want to buy and if I do want to purchase them, it’s a click away. As a result I’m reading more than I have in years. I also support my friends’ books by ordering the Kindle versions as they become available and conveniently offer reviews. Great Idea, Elaine, to connect it with the library. I hadn’t thought of that. Thanks. BTW, I’m an Amazon fan too. I wish they had been around when I was growing up. My husband bought me a Kindle a few years ago because we had long since outgrown our bookshelves and he was tired of me using the stacks of unread books as end tables. I use my Kindle for vacation reading, and also for titles that are ruinously expensive as hard cover – mostly non-fiction, which rarely make it to paperback. My husband likes to search out-of-print titles that will likely never be re-released as anything but an ebook. We continue to buy physical books, but the digital option has proven very useful. Lani, I know what you mean about books becoming end tables. I just sorted mine about a week ago and I was brave enough to make a stack for give-as-recycled-gifts. It’s hard to part with them. You pointed out another advantage of Kindle that the books are always there. My brother works for Amazon, in charge of reliability for the Kindle. Guess what, I don’t have one. However, I do have a Kindle app on my PC, and it is nice to download immediately, and the cost is so nominal. I too work all day on my computer and prefer paper, although I find being able to search and highlight, especially with reference works, on Kindle is really nice. There is no substitute for the real book. My youngest son has followed in the hard copy tradition and when he moves he lugs along trunks and trunks of BOOKS, along with his electronics. Hi, Thanks for stopping by. That is funny that you don’t have a Kindle and your brother works for Amazon. Hard copies of books are heavy. My father, 88 years old, waits for paperbacks but refuses to read on a Kindle. I can imagine your son lugging trunks of hard copy books. He is devoted. Nice to hear from you. Hi, I have a Nook and love it. It was a gift from a friend when he upgraded to the newer Nook. I live in a small condo so not much room for books, although I LOVE BOOKS!